Art & Frame of Sarasota: Art & Frame of Sarasota Acrylics have arrived! Art & Frame of Sarasota Acrylics have arrived! 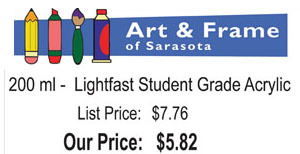 Come in and shop our new Art & Frame of Sarasota Acrylics. 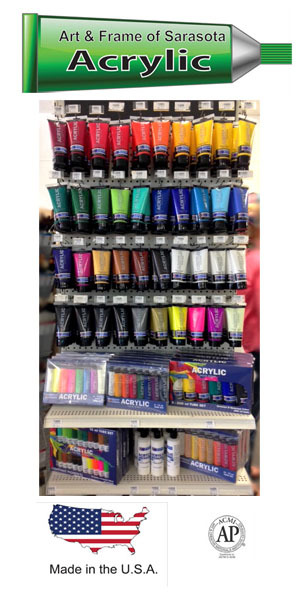 Artist grade acrylic paints at an affordable price made in the USA. ACMI certified for safety and quality. 200 ml and 75 ml tubes and sets. artist grade varnishes, solvent, and professional gesso. Free paint samples available with purchase while supplies last.